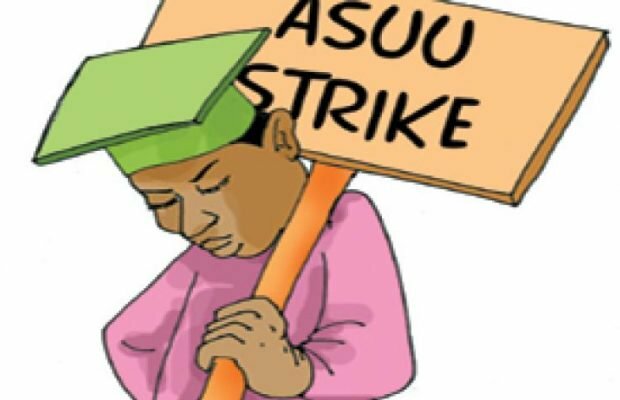 The Academic Staff Union of Universities, ASUU, has resolved to embark on an indefinite strike action after an extensive deliberation that lasted three days. The lecturers union held its meeting at the University of Abuja from Friday and has directed all her members against going to teach or involving themselves in any academic activity. In a statement signed by ASUU President, Biodun Ogunyemi, he revealed that all means of negotiation had been exploited before the decision on an indefinte strike action was reached. After asking its branches to conduct referendum among members to determine if the strike will hold, the result was an overwhelming yes by the branches to proceed on strike. Information revealed has it that the lecturers are striking because of poor funding of universities, part-payment of salaries of lecturers and the kidnap of two lecturers of the University of Maiduguri by Boko Haram.